Prepare To Qualify - Universal Mr. Do! Mr. Do! is an incredible game. It is often called a Dig Dug clone, but this game is so much better than Dig Dug that it is in a class by itself! On so many websites its brief description is "It's like Dig Dug". If a description has to be brief, it should read, "It's like Dig Dug but so much better!" I think what I'll do with some of this space is describe WHY I feel Mr. Do! is so much superior to Dig Dug. Do not interpret this as Dig Dug or Atari bashing. I recognize the appeal of Dig Dug, and, as many of you know, I LOVE Atari! Why is Mr. Do! Such an Excellent Game? One of the things that made Mr. Do! greater than MOST other games was its guy, or clown policy. Most video games of the era gave extra guys under two different conditions. . .
On the one hand you had the Pac-Man family, the Donkey Kong family and many others that gave you an extra man at one predetermined score. Usually that score was low enough to reach on the second screen, if not the first. At that point game play no longer had anything to do with extra men. Sometimes you were notified of your new player by some audible signal while game play was going on. Some games, like Dig Dug and Battlezone, would have a second predetermined score where you could gain another man. 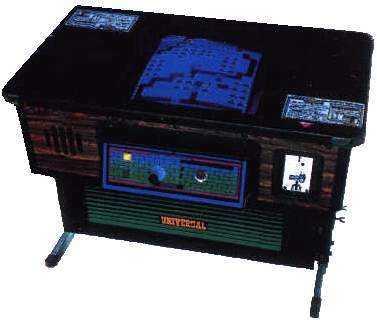 The other method popular at the time, especially with William's, was the Joust, Robotron, Defender, Galaga and yes, even the Centipede and Gyruss way. These games would give you a free man at predetermined intervals in the scoring, such as every 10,000, 12,000, or 20,000 points. 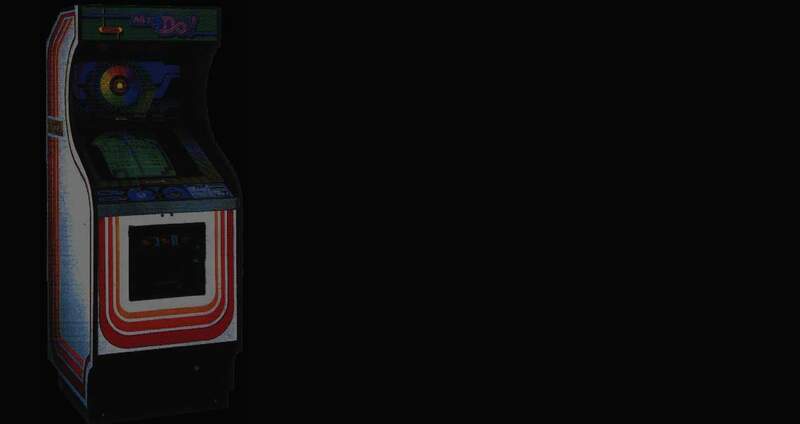 Gyruss and Galaga gave an initial freebee at a low score like 10,000, and then at larger intervals such as every 50,000 or 70,000. The creators of Mr. Do! handled this quite differently. Gaining extra men became an intricate part of the game play. Something that was always on your mind as you played and that you could strategically plan for. Your extra man strategy could make or break your game. The goal was to spell the word by defeating certain enemies that had letters in their stomachs. You could shoot them... or squish 'em just like all the other bad guys. These characters would enter the screen from the letter box at the top. This would happen every 5,000 points, or whenever Do ate the treat in the middle of the screen. By timing it right you could get up to 3 letters on the first screen without dying. You had to time it right though, because a moving pointer would indicate which letter was coming out next. Also, if you got your last letter but died in the attempt, your little clown would come back to life... Nice touch! After every third 'scene', instead of your typical intermission, Mr. Do! displays statistics for the previous group of 'scenes'. This includes how many points were accumulated and how much time was spent on each screen. Also an indication of how each scene came to an end is given by an icon. In the screen shot here we see that scene 6 ended with a diamond (more on that later) and that scenes 4 and 5 ended by destroying all enemies. You'll notice here that scene 10 ended with receiving an extra Do. Also, the high score board shows 10 scores, including scene level and time duration of the game. How many video games can you name that award a player with a free game? 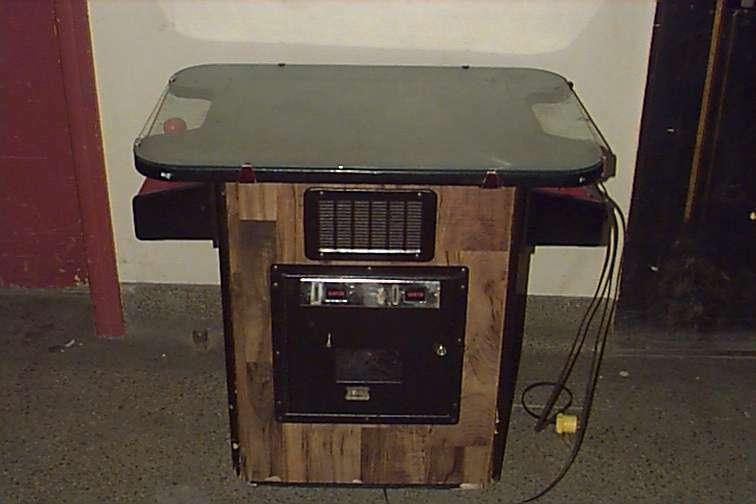 I can think of two... Tehkan's Pinball Action (of course trying to mimic a pinball machine, and man, was it hard to get! ), and our friend, Mr. Do! There are just so many things that make this game great, I can't even list them all. Things like each scene starting out looking like the screen number, except for scene 1 that actually says Do!